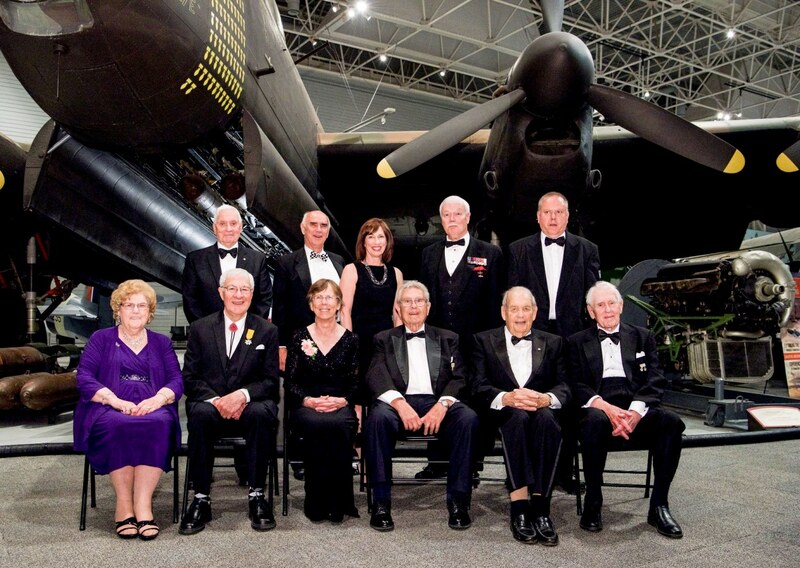 Our volunteer official photographer, Rick Radell, has again photographed the annual induction ceremonies gala for Canada's Aviation Hall of Fame. Click here to to see 130 photos by Rick which you can download, save, print and share! 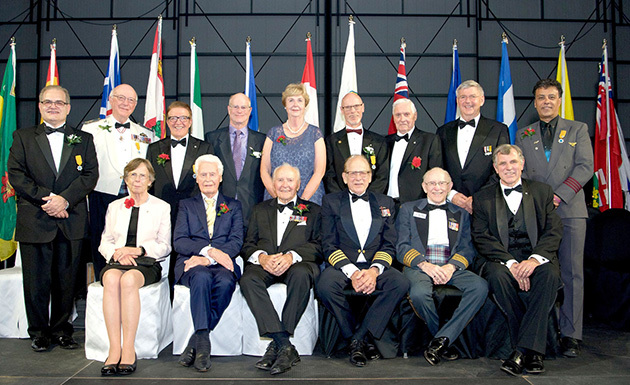 Our volunteer official photographer, Rick Radell, has again photographed the annual induction ceremonies gala for Canada's Aviation Hall of Fame. Click here to to see 140 photos by Rick which you can download, save, print and share! 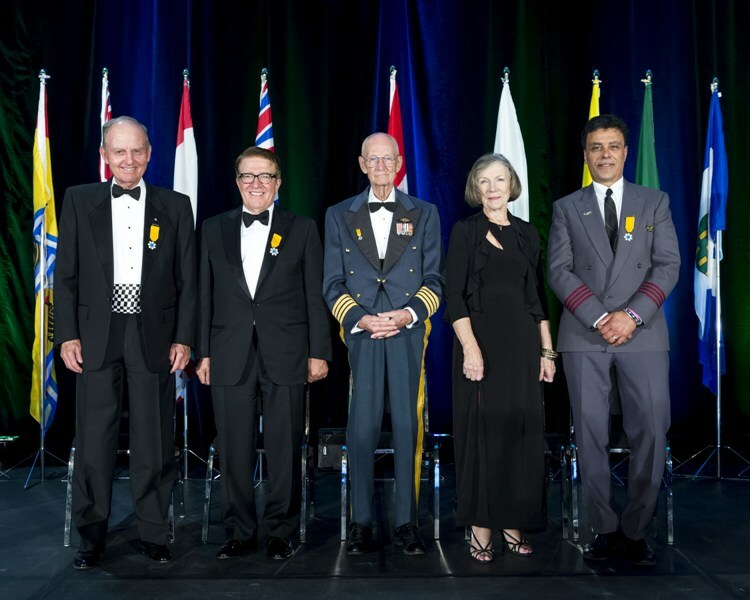 Canada's Aviation Hall of Fame has now posted 100 photos of the June 9, 2016 induction dinner and ceremonies by our official photographer, Rick Radell. You might find yourself in one or more! Inducted as new Members in 2016 were Frederick Carmichael, Kathleen Fox, Wm. Ross Lennox and Beverley Shenstone. Receiving the Belt of Orion Award for Excellence was the Royal Canadian Naval Air Branch. See their stories and videos in the Member Profiles and Belt of Orion sections by clicking on the Members button at the top of the page. 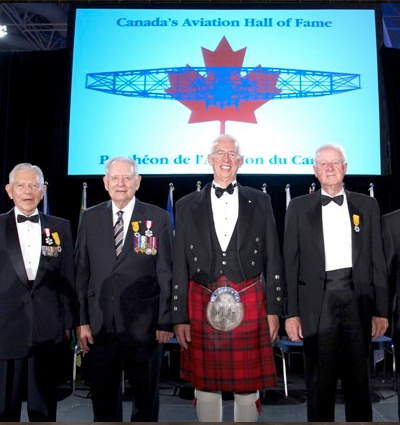 Canada's Aviation Hall of Fame has posted 130 photos of the June 4, 2015 induction dinner and ceremonies by our official photographer, Rick Radell. You can see them here, or click the photo to the left. Photos can be downloaded, but please note that any used for publication must be credited: Rick Radell Photo. Inducted as new members in 2015 were the late Arthur Roy Brown, Jim McBride, the late Owen Bartley "O.B." Philp, and George Miller. AeroVelo Inc. was the recipient of the Belt of Orion Award for Excellence. 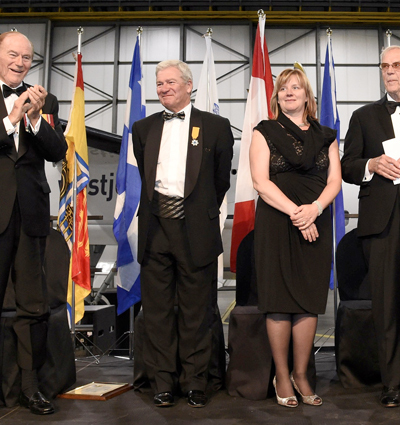 Click here to see 200 photos from the 2014 induction ceremonies held on May 29 at the WestJet hangar at Calgary International Airport. 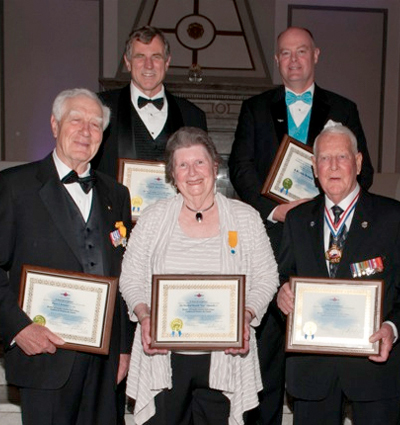 New Members inducted in 2014 shown above are, left to right: Robert Engle; Clive Beddoe; the Elaine deBlicquy, representing her late mother, Lorna deBlicquy; and Fred Moore. 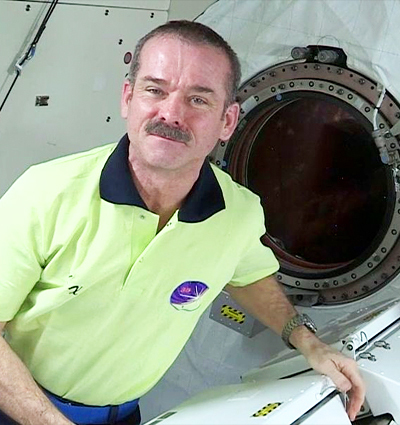 Guest presenter and speaker in 2014 was astronaut Chris Hadfield. When images of the photographs appear, click on any image to see the full-size picture, which can be downloaded and saved. To see videos, where available, of any individual Member or Belt of Orion recipient, click on "Members" at the top of this page, then select "Member Profiles" or "Belt of Orion" and click on the video link at the bottom of the page. 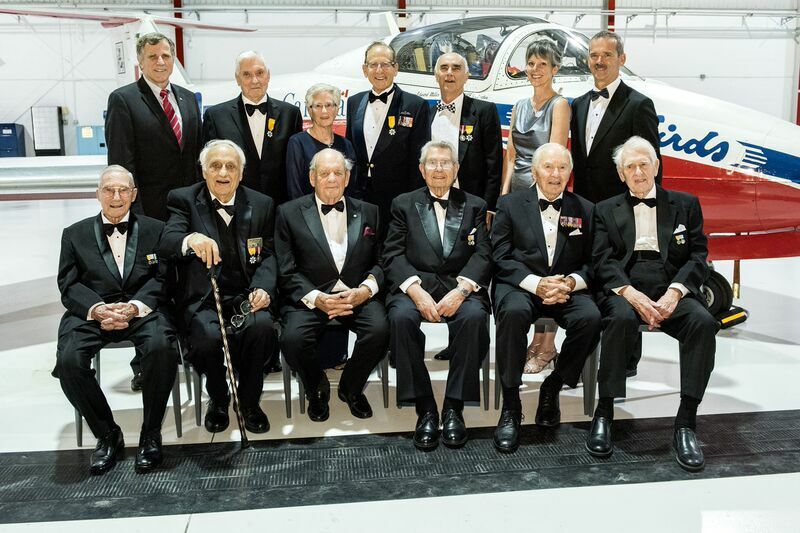 Click here to see 120 photos from the 2013 induction ceremonies held on May 30 at the Canada Aviation and Space Museum in Ottawa. New Members inducted in 2013, shown above are left to right: J. F. "Stocky" Edwards, J.F. "Frank" Henley, Donald Carty (representing Canadian Pacific Air Lines as recipient of the Belt of Orion Award for Excellence), John Sandford and Victor Bennett. To see videos, where available, of any individual inductees and Belt of Orion recipients, click on "Members" at the top of this page, then select Member Profiles or Belt of Orion and click on the video link at the bottom of the page. A special feature at the 2013 induction ceremonies for Canada's Aviation Hall of Fame was a message from astronaut Chris Hadfield, recorded in space while he was still aboard the International Space Station. Click here to see the video. Click here to view photos from the 2012 CAHF Gala dinner.